We still have tickets available for the 2018 production of Gallery Ballet’s The Nutcracker.Performances this year will be on Sunday and Monday, December 16th and 17th at 6:30 p.m. This is always a popular production so be sure to get your tickets soon. Need to take a moment? Stop by and relax with a nice hot drink. The 30th Annual Wine Country Holiday Home Tour is coming up this Sunday and you can spend an enjoyable afternoon touring five McMinnville homes all decorated for the holidays. There are also festivities at Michelbook Country Club including music, holiday treats, and an auction. Along with other local businesses, Incahoots was invited to help with the decorations this year and Janet has been hard at work creating designs. I’d tell you which house it is, but that would spoil the fun. All proceeds from the tour support Soroptomist programs for women and girls, including cash awards for education and other expenses to help each woman move forward toward her goals. While the weather may say otherwise, the calendar says Summer is over and it’s time for Fall Teas. You’ll now find two yummy fall favorites from the Republic of Tea here at Incahoots. Rich and full-bodied, this premium black tea is flavorful with zesty spice notes enveloping a sweet pumpkin core. Reminiscent of freshly baked pumpkin muffins. The Ribbon Plant – also known as Ribbon Bush, Centipede Plant or even (as likely named by some kid in high school biology class) Tapeworm Plant. Related to rhubarb and buckwheat, it’s placed in the shrub category and is also listed as a succulent. Around here, it will grow 3 to 4 feet tall, but in warmer climates can reach 10 feet. This particular plant came in with the Homalocladium Platycladum name attached, but you’ll also find it listed under a variety of other names which are pretty much unpronounceable as well. Muehlenbeckia platyclados appears to be the most promisingly accurate of the lot. It’s an easy care plant – grow it in sun to part shade with rich soil with good drainage. It can handle a light frost, but it’s not hardy here, so you might want to grow it in a container that can be brought in over the winter. 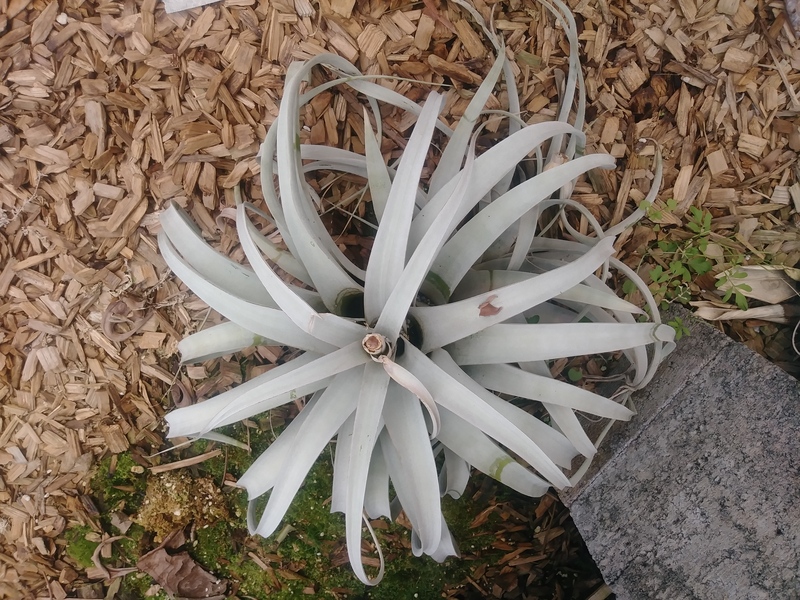 Grow this for the unusual form. What you see in the picture are stems. The plant does make small leaves, but they only appear occasionally on the new growth. The segmented stems and are flat, smooth and durable. They branch out and weave their way up eerily, forming a tall, bushy mass of ribbons. And when grown in bright light, it will produce tiny white flowers and attractive, but just as tiny, red fruit. 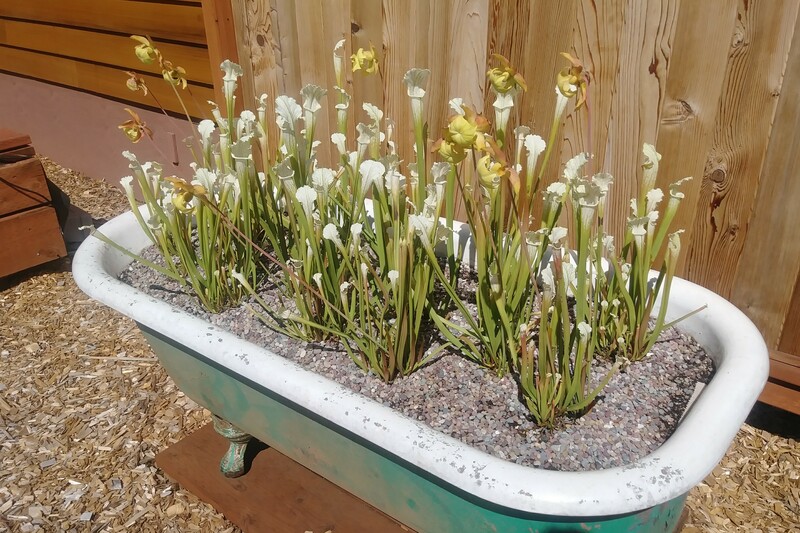 If you would like to check out our brand new selection of carnivorous plants, they are displayed outside, in front of the garden shed. We would be happy to show you where they are. I hope you come down and look at them, and maybe even take one home with you! Waiting until January to buy a new calendar is SO last year! Calendars are not only a great way to remember what day it is, but also a clever way to cover unsightly holes in your wall! Whatever your needs, our racks are overflowing with a fantastic assortment of date-filled schedule keepers. If you like that satisfying “rip!” of revealing the new page of a daily desk calendar or prefer the long-term joy of plotting the entire year one month at a time, you will find what you need here at Incahoots. The sixteen month options start with September – so hurry in for maximum enjoyment (and best selection). Since we were nearing the completion of our makeover project, we took advantage of the Labor Day weekend to tile the restroom floor here at Incahoots (that’s right, business owners really know how to celebrate a holiday!) 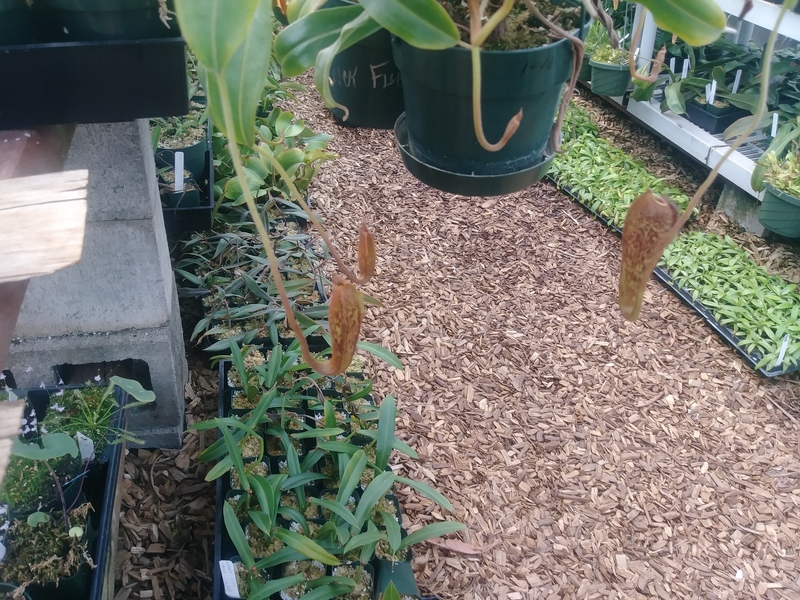 And on Sundaywhile waiting for the mortar to dry, we took a trip over to Sarracenia Northwest in Eagle Creek to see their extensive collection of carnivorous plants. 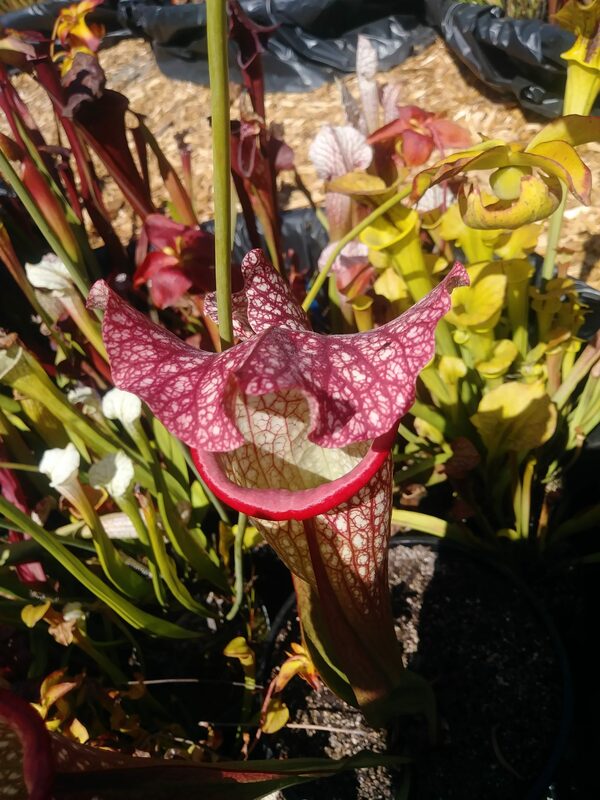 You may be interested to know that as of a couple weeks ago, we have had a selection of carnivorous plants available and we figured we should spend a little time learning more about them. Rain will be writing an in depth article about these fascinating plants and I’ll share that with you when it’s finished, but for now, I’ll leave you with a bit of plant poetry by Andrea. Sorry for the absence in these weekly articles; I got caught up in marching band camp and getting ready for going back to school for my final year. The posts will be back to the regular schedule of Tea of the Week on Tuesday and the Plant of the Week on Thursday, but for this week you get the tea on Thursday! I have selected one of our newer teas for this week’s Tea of the Week: Earl Greyer Vanilla. 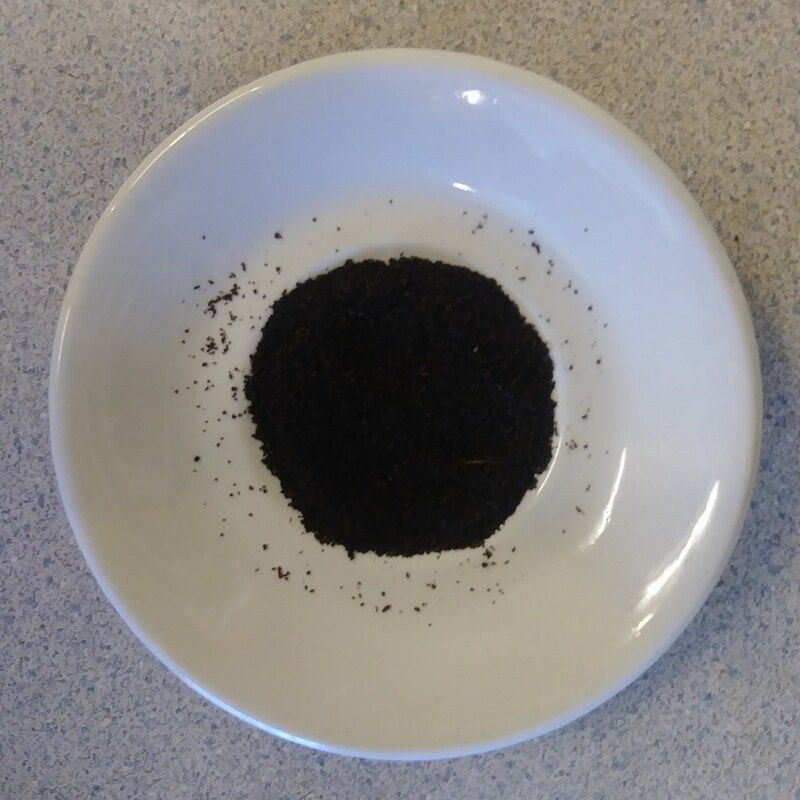 This tea is the next step up, combining the elements of all of its similar teas, Earl Grey, Earl Greyer, and Cream Earl Grey, which we also carry, and creating a new delicious tea. It has the deep black tea flavor of Earl Greyer with the vanilla element of Cream Earl Grey. I think it is my favorite of the bunch, because both the black tea and vanilla flavors are strong, but don’t overshadow each other. It is the perfect balance, and is exceptionally delicious. 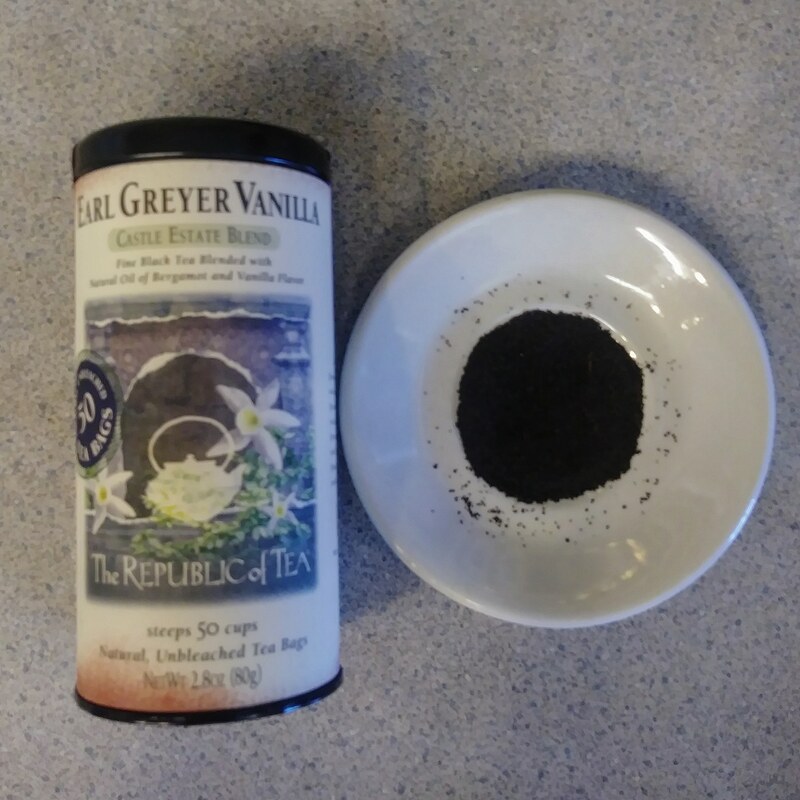 If you would like to try Earl Greyer Vanilla for yourself we will happily brew you either a cup or a pot of this tea down here at the store. You can also purchase a tin of it if you love it. Hope to see you soon!